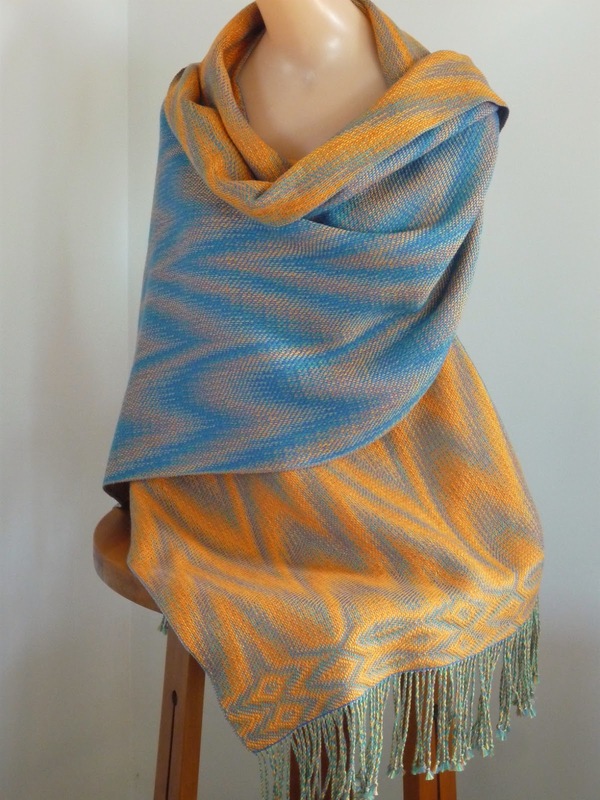 I entered Tangerine Dream in Creative Fibre Experience exhibition and it has been accepted. Whew! 16/2 cotton, 48 epi, weft 2 x 16/2 threads. A networked warp based on a three end initial with 3 echoes. That is 4 warp lines each a different colour, blue, green, orange, yellow. 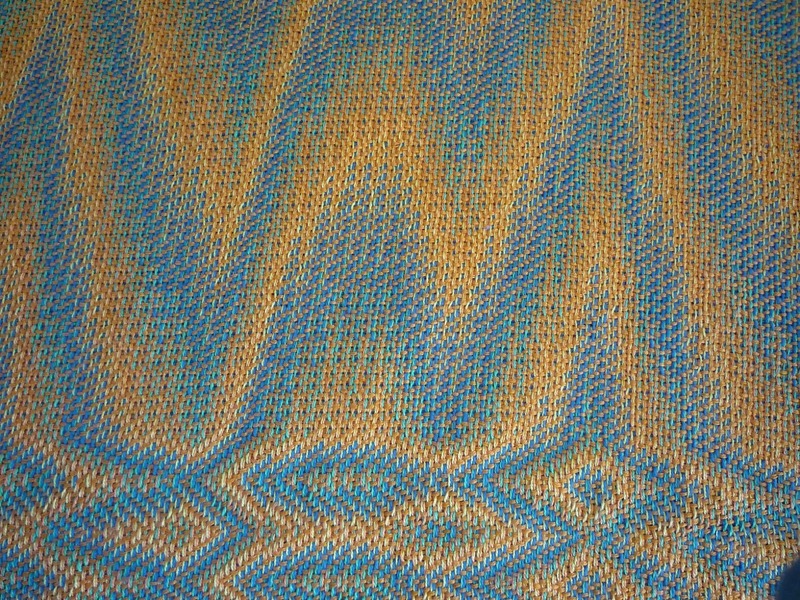 I should probably have used two different colours in the weft but I don't have a great selection of cotton so I used the same blue and orange as in the warp. Click on the pics for a clearer look. Thanks Meg. Its a secret but I've had a phone call to attend the opening! Dianne, it is absolutely stunning! I'm so pleased that it was accepted and cudos to you for entering....the whole idea of putting my weaving out there scares me witless! 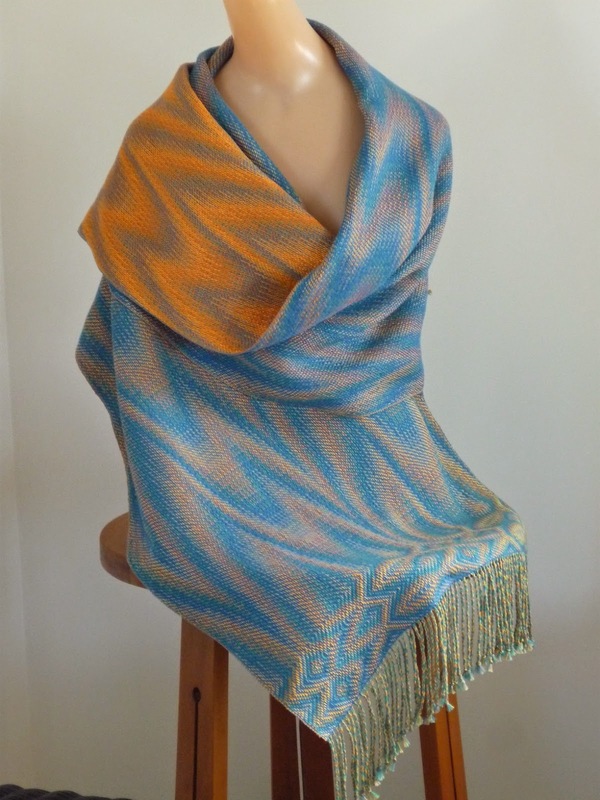 Turquoise and orange, my favourite! I love the pictures where you show both sides - really stunning. Hi!!! Its work is very beautifull!! I want to try it please ... is it possible to see the wif file ?? fabbytex Where can I send you the wif ? Do you have an email? HELLO!! I am very happy to share this beautiful design and knowledge of the fabric. Hello! I really love the desing, its so beautiful. Would you please share WIF.